Track Flights with Pi Zero W and PiAware #piday #raspberrypi @Raspberry_Pi « Adafruit Industries – Makers, hackers, artists, designers and engineers! The Raspberry Pi Zero Wireless is a $10 microcomputer capable of a great many things. 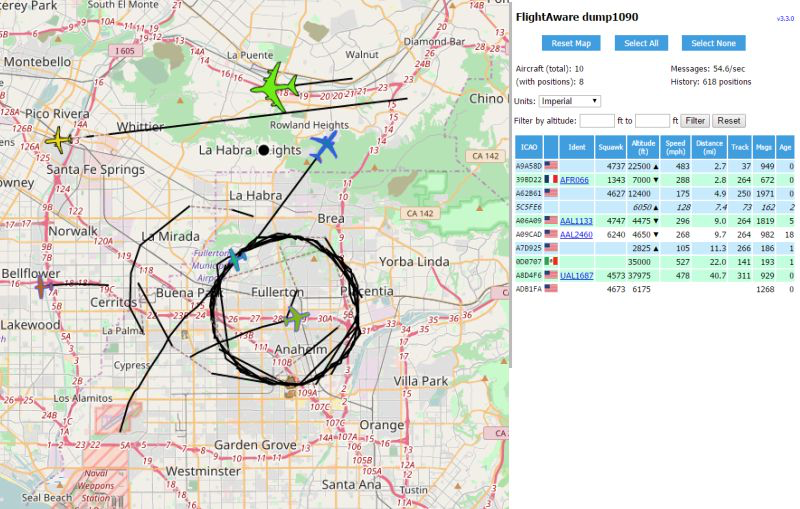 This article shows you two ways to use this Pi to track flights in your area. It also demonstrates how it can control a 64×64 RGB matrix to display flight numbers! In this article, I’ll do three separate projects using the Raspberry Pi Zero Wireless. In Project 1, I’ll create a plane-tracking device using PiAware. In Project 2, I’ll collect data from said planes. In Project 3, I’ll show you how to use the RPi Zero W to control a 64×64 RGB matrix.